MichiGreen has years of experience providing superior lawn care and landscaping services throughout Macomb and St. Clair County, Michigan. From scheduled lawn service to fertilizing to landscape maintenance to snow plowing – we are your go-to local contractor for all your landscaping needs. Our team utilizes state of the art equipment and executes every job with the upmost care to make your property looks its best. As a homeowner, you have plenty of priorities that might interfere with valuable family time or extracurricular activities. 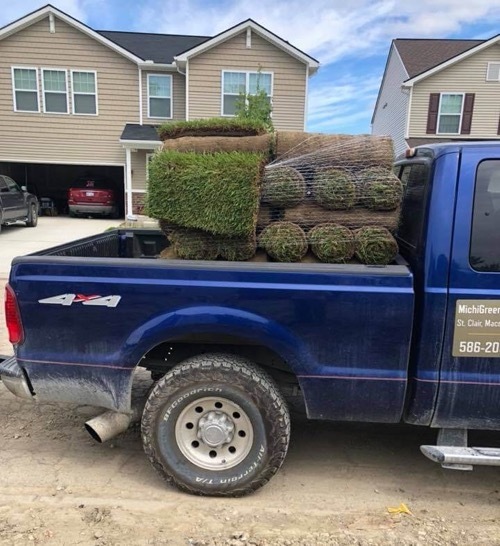 When you hire MichiGreen Landscape for your property maintenance, you can relax in knowing that we’ll handle all of your lawn and landscape needs. Our professional approach to lawn care through Reliable Maintenance, Affordable Prices, and Flexible Services is what separates our team from the large companies. Since 2015, MichiGreen Landscape has provided affordable lawn care services for both residential and commercial properties throughout the area. Our scheduled lawn care service enables your grass to looks its best at all times. We are proficient with both residential and commercial landscaping services so whether you own a home or business, get in touch with us today for all of your lawn care needs.